Small 4 Style: Natural Skincare = Kiss My Face! Natural Skincare = Kiss My Face! With more freezing weather and Valentine's Day coming up, I thought you might like to know about some natural skincare products that have helped to nourish my skin this season. Kiss My Face is an all-natural brand that covers every skincare and beauty need under the sun. I'll be honest, I usually don't associate "natural" with "glamour." This is definitely not the case with Kiss My Face. The two Kiss My Face products I've tried have helped me achieve the great skin I need as a foundation for all of the primping I do! The Olive & Aloe Moisturizer for sensitive skin is so convenient because it's gentle enough to use on your face, hands, and body. It doesn't leave a greasy layer of residue - your skin will literally drink up this stuff. I use it as a makeup primer, especially when my skin needs a little more moisture. The organic "Sliced Peach" lip balm has a soothing, aromatherapy-like scent. I use it to get those kissable lips that are so hard to keep during winter! 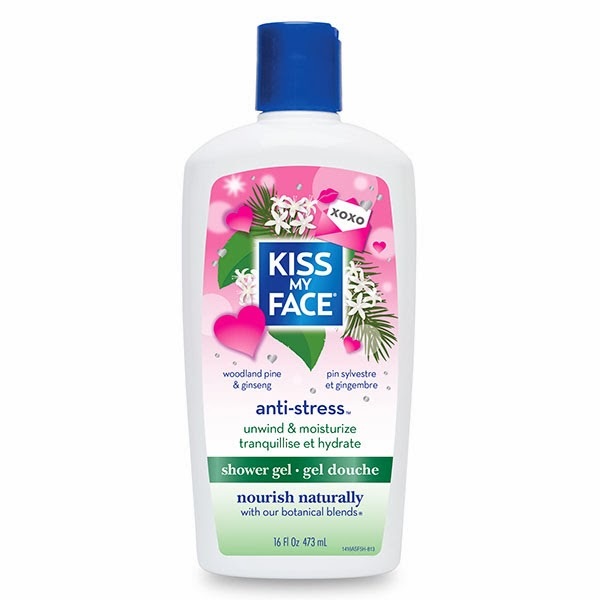 Kiss My Face doesn't have to hide behind artificial dyes and chemicals to be fabulous. I learned that natural is beautiful. Find Kiss My Face products at your local natural market stores and online. They even sell them at my alma mater, Ursuline Academy of Dallas! PS: Kiss My Face has a line of really cute Valentine's Day products. Check it out on their website!